On the heels of the 10-episode series order of “M.D. Live” (working title), the groundbreaking, live, factual series that seeks solutions worldwide for people with medical mysteries and crises who are undiagnosed or misdiagnosed, Turner today announced that renowned, award-winning journalist Ann Curry has signed on to anchor and executive produce. The innovative show that will tap into the worldwide phenomenon of medical crowdsourcing is co-produced by Turner and Lionsgate Television. The two-hour weekly, multiplatform event airing over 10 weeks is set to premiere in 2019 and will feature Curry (“Today Show,” “NBC Nightly News,” “Dateline NBC,” PBS’ “We’ll Meet Again with Ann Curry”) reporting true stories of medical mysteries and crowdsourcing for doctors and people experiencing similar symptoms in the search for diagnoses. Curry, an award-winning journalist for more than 30 years, is known for her war and humanitarian reporting and interviews with the most powerful and influential as well as the most disenfranchised and forgotten. She has been awarded seven Emmys®, in addition to numerous others in Journalism, as well as humanitarian awards, including a “Medal of Valor” from the Simon Wiesenthal Center. She currently also reports for and is an Executive Producer of “We’ll Meet Again with Ann Curry” for PBS. The series (working title) “M.D. Live” is produced by B17 Entertainment and Motiv8 Media in association with Lionsgate Television, with Ann Curry, Eric Ortner, Brien Meagher, Rhett Bachner, Kara Kurcz, and Brian Lee serving as executive producers. 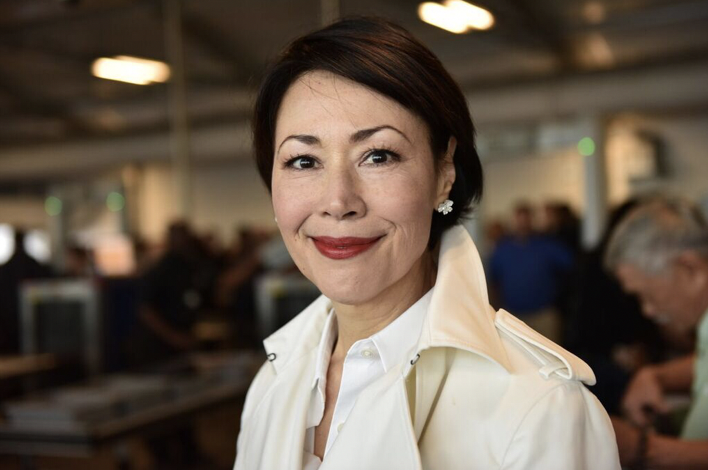 Ann Curry is represented by Ethan Cohan at Del Shaw Moonves Tanaka Finkelstein & Lezcano and Eric Ortner at The Ortner Group.